For his latest track and video released earlier this week, Mac Miller has decided to focus and both greed and selfishness when it comes to the pride of the wealth of a man. 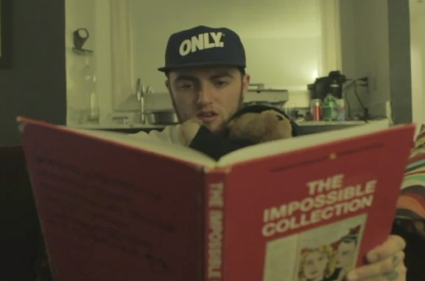 Produced by his usual alter ego Larry Fisherman, with a “home made ” feeling video shot by Rex Arrow, Mac Miller underlines a creepy attitude, pays tribute to St. Lunatics cheesy leader Nelly by wearing a band-air underneath his eye, and gets a little deeper in his perception of the consequences of the american dream. Press play !